Videoslots.com gives you the chance to visit the most fascinating and exotic beaches you have ever dreamed about and sip some fresh fruity cocktails bringing you a lot of money! 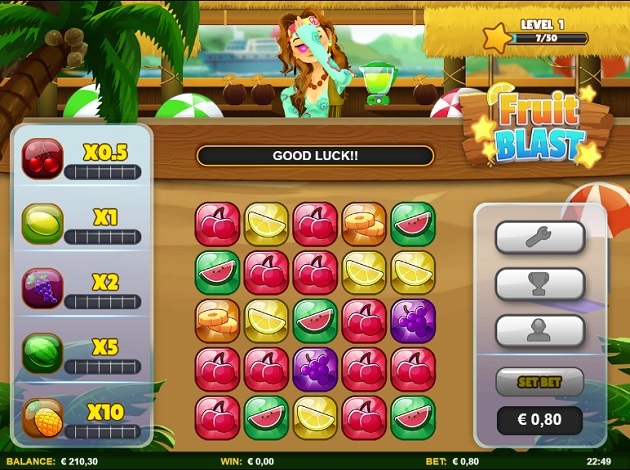 SkillzzGaming presents Fruit Blast: a 5x5 video slot set in a kiosk on a sunlit beach, where some nice bartenders will serve you not only drinks but also prizes, bonuses and special funny features full of rewards for you! Thanks to the good RTP of the game (96.12%), moreover, your Fruit Blast adventure will be not just enjoyable but also very profitable! As we said, the game takes place within a tropical smoothie bar on a paradise beach, where a nice bartender is waiting for you. The first important feature of the game is that you won’t see any reel, but a 5x5 grid where the player only has to find 3 or more matching adjacent tiles, as well as in other famous games like Candy Crush or Bejeweled. The symbols consist of fruits: grapes, lemons, watermelons, cherries and pineapple will be your best friend here. In order to get winnings, you will have to trigger combinations of adjacent symbols with the same item. Combinations can be vertical and horizontal but not diagonal. In addition, you can also find Blast Bonus tiles and Blast Jackpot tiles! 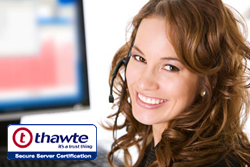 The bet level is perfectly customizable and there is a wide range of amount among which you can choose. You can start playing Fruit Blast from € 0.6 up to € 100 per round. Because of the original structure of this game, there are no spins, but rounds. Every time you start a round, you place your bet. Then, the 5x5 grid gets filled randomly with all the symbols. Here, there is the one of the most important characteristics of the game: the element of skill. In fact, the game is not entirely based on luck and automatized algorithms, but player’s choices can really make the difference. After triggering a combination, indeed, all the upper symbols slide down until they take the slots left empty. This means that you can actually play with your own strategy and try to anticipate and cause new winnings! Another great innovation is that similarly to arcade video games, every time you have winnings you receive – other than the prize – some extra points that will bring you to following levels! The more you increase your game level, the more extra features you will unlock! You can unlock up to 9 different bartenders – each one with his/her own mini-game feature – and countless achievements with very exciting rewards! On the left side of the screen, next to the grid, you can see a column with fruit bars. Every combination you trigger helps you filling the fruit bars. According to the fruit bar filled, you will unlock the following multipliers: 0.5x (cherries bar), 1x (lemon bar), 2x (grapes bar), 5x (watermelon bar), 10x (pineapple bar). The 2 special symbols/tiles of the game can really increase your winnings! The Blast Bonus tiles will make you trigger a Special mini-game (different every time, according to the bartender you are playing with), while the Blast Jackpot tiles – if you find at least 3 of them – will make you win the super Jackpot of the game, up to 1000x times your bet! Graphics is undoubtedly a strong point of Fruit Blast. You can really feel the summer feeling thanks to all the elements perfectly designed and the bright colours. The kiosk, the fruits, a palm next to the bar, the coconuts and the Hawaiian style of the bartender’s dresses will make you feel like you are living the most amazing holiday ever. In addition to this, a relaxing tropical jingle is going during all your rounds, reinforcing the sense of quiet, calmness and serenity you will never want to leave. In conclusion, we highly recommend Fruit Blast to all types of players. The bet level is perfectly customizable, which makes this game suitable for all budgets, and the several gameplay innovations can only fascinate you and involve you more and more in this exotic adventure. SkillzzGaming is a Tel-Aviv based start-up, founded in 2014 and packed with experience. They have a lot of knowledge about entrepreneurship and gaming industry in general in their 3-person core team. These 3 are the founders of Skillzzgaming, all gaming enthusiasts from Israel. All of the founders have different skills, which combined form an amazing skill set. If you want to know what sets Skillz Gaming's games apart, you only need to read the company name. Yes, skillzz – or skills with a proper spelling – is something that players need while playing SkillzzGamings’ games. SkillzzGaming is creating something for a new generation of gamers, something where you need to know what you are doing, but you still have the excitement of luck-based gambling. Skillzzgaming combines skills and gambling and creates entertaining, intriguing and captivating games for all kinds of players. Fans of online gaming will get the wagering fun and fans of good old video game action will get their gaming fun out of Skillzzgaming’s creations. This is definitely a provider to keep an eye out for the future, and we believe, that we will get to know some more of their skill-based casino games soon!